On January 24, audiences will enter a world of wizards, witches and young heroes on epic quests. No, it’s not a new HARRY POTTER movie — but THE KID WHO WOULD BE KING does have a bit in common with that beloved franchise, including a young cast of mostly unknown actors. 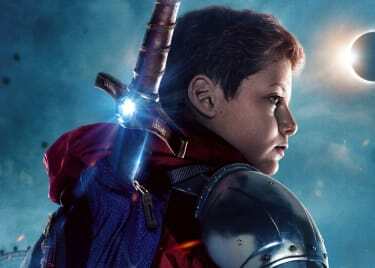 Although you may not know much about them now, these talented kids will appear on your radar later this month when the new fantasy adventure from director Joe Cornish (ATTACK THE BLOCK) hits theatres. Before THE KID WHO WOULD BE KING arrives, let’s get to know the young actors (and a couple of more familiar faces) from this exciting movie. Meet Alex: a smart kid who’s often picked on and bullied at school. His world is turned upside down when he stumbles upon King Arthur’s mythical sword, Excalibur. As legend has it, whoever is able to pull Excalibur from its resting place is destined to create a new roundtable of heroic knights. 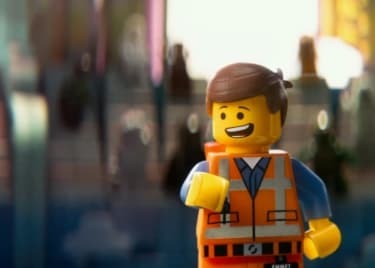 In this film, that person just so happens to be Alex. Louis Ashbourne Serkis plays Alex. Does that last name sound familiar? The actor is the son of Andy Serkis, who rose to fame with astonishing motion-capture performances in movies like THE LORD OF THE RINGS trilogy and the new PLANET OF THE APES series. Louis’s mom, Lorraine Ashbourne, is also an actor and is best known for her work in British television. Louis has been working in the family trade since 2014, when he made his acting debut in the TV series “Endeavour.” Since then, he’s also appeared in the FX drama series “Taboo” (starring Tom Hardy) and lent his voice to MOWGLI: LEGEND OF THE JUNGLE, the Netflix original movie directed by his father. Before he can defeat the villainous Morgana, Alex will need to assemble his roundtable. For starters, he enlists the help of his friends, Bedders and Kaye. Alex also calls upon school bully Lance, who realizes that Alex is definitely cooler than he once thought. 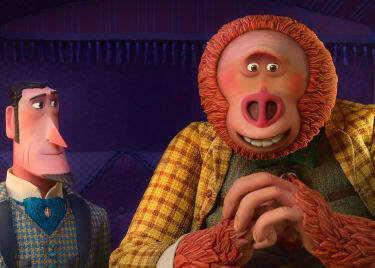 Bedders is played by the charming Dean Chaumoo, in his very first (but probably far from last) acting role. Kaye is played by Rhianna Dorris, best known for starring in the Australian TV series “Secret Life of Boys.” She also appeared in the British reality series “Stage School,” which follows the talented students of the D&B Academy of Performing Arts in London. Obviously, these heroes have come together for a reason: to defeat the evil villain Morgan “Morgana” le Fay, a powerful witch from the King Arthur legends. She’s portrayed by the fabulous Rebecca Ferguson, better known for her awesome role as Ilsa Faust in the two most recent MISSION: IMPOSSIBLE movies. 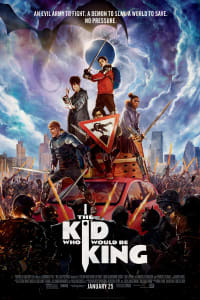 THE KID WHO WOULD BE KING comes to AMC® on January 25!